Sotheby’s International Realty had an incredible 2017 and achieved over $108 Billion in residential sales. 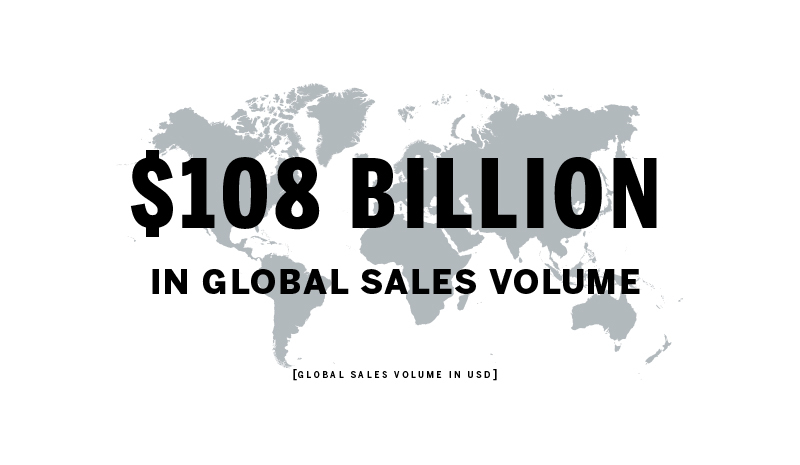 In the United States alone, the brand achieved over $96 billion in sales volume. in 2017. While outside the United States, Sotheby’s International Realty continued to expand into key markets. In Europe, the brand grew its presence in Spain into the coastal cities of Valencia and San Sebastián, and in Belgium to Antwerp and Waterloo, as well as expanding to the Greek island of Rhodes. The brand also sold the rights to the Asian countries of Vietnam, Indonesia and Sri Lanka, and grew within India to include the key markets of Mumbai, Bengaluru, Chennai, Pune, Goa and Kolkata. 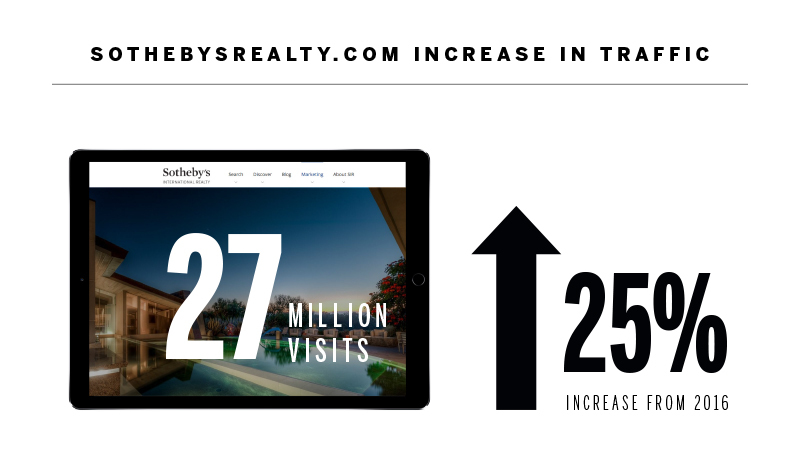 On the consumer side, The Sotheby’s International Realty brand website, sothebysrealty.com, also saw another record year with nearly 27 million visits, a 25% increase year-over-year, with 60% of visitors coming from outside the United States and 17.5% of traffic being from new users.